OAP Freeze Talks On Viral Video Of Nigerian Female Pastor Asking Her Congregation To Give N21k To Receive Divine Intervention In 21 Days – Leader of the Free the Sheeple movement and popular OAP, Daddy Freeze, has talked about a viral video of a female pastor who asked members of her congregation to give N21, 000 so they can secure a divine intervention within 21 days. 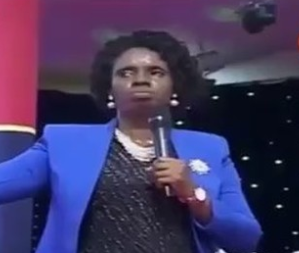 In the video, the female pastor asked those that do not have their own money during the service, to come to her office within the week to drop the money. or in those who worship idols. O LORD my God, you have performed many wonders for us. Your plans for us are too numerous to list. I would never come to the end of them. You take no delight in sacrifices or offerings.